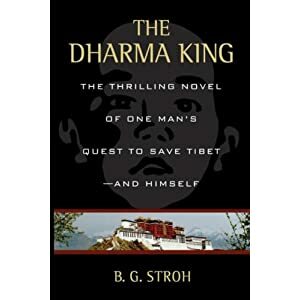 Stroh published a fictional novel, titled “The Dharma King” about the search for the missing Panchen Lama. “The Dharma King is an epic chase to find and bring the baby Panchen Lama, the spiritual counterpart to the Dalai Lama, to safety. Proceeds from sales of the novel go to help support Tibetan refugees in Sera Je Monestary. You can buy the novel on Amazon.com here: Amazon Page for The Dharma King.